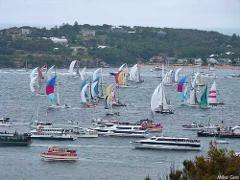 Take your place beside the super-yachts at the thrilling start of the spectacular Sydney to Hobart Race, a legendary sporting event seen around the world. Every guest enjoys allocated seating, a fabulous menu and “live” race commentary. The Proclaim follows the fleet from a privileged position to provide a unique spectator experience. 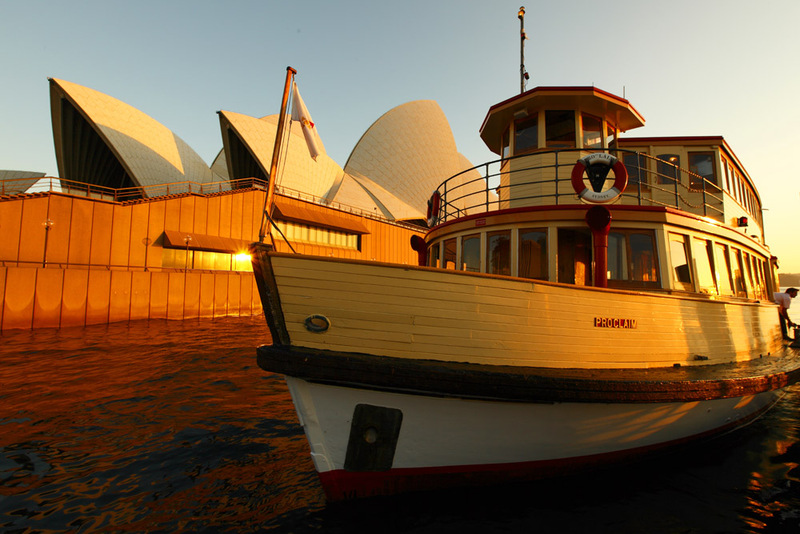 Suited to all ages, this exclusive cruise has a duration of around 3 hours. Proclaim will have a maximum of 130 guests attending this cruise which will allow for a lot of space on board. There is not an allocated seating plan however there will be table seats for everyone on board. There are tables and chairs on the top deck that will seat 64 guests. 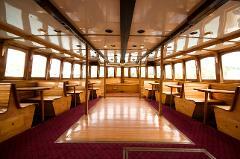 There are also table and chairs on the main deck that will seat 48 guests. There is also standing room in 2 outdoor areas. Access to the top deck will be limited and managed as effectively as possible.